Margareta Magnusson, 83, is the author of The Gentle Art of Swedish Death Cleaning, a slim how-to volume about properly freeing yourself from a lifetime of accumulated stuff, be it expensive jewelry, love letters, family photos, or extra spatulas. 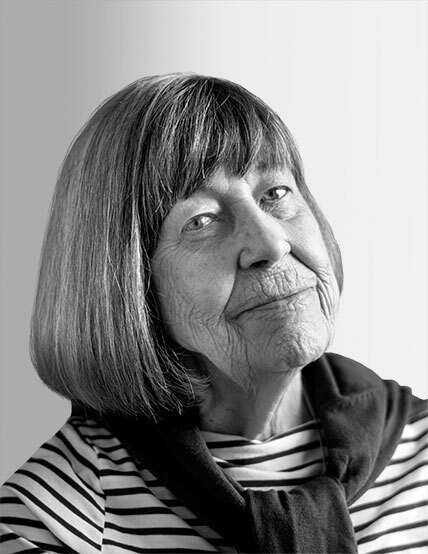 Magnusson, an accomplished artist as well as the mother to five and grandmother to eight, felt compelled to write her first book to share knowledge gained in 17 moves within Sweden and abroad. Döstädning, as its known in Magnusson’s native country, helps people declutter by sharing excess belongings with others in need. Along the way, those doing the cleaning have the opportunity to sort through a lifetime of memories--and spare their heirs countless decisions, as well.